Everyone knows that survival in colonial America is all about the outfit you wear. Well, that and maybe survival skills, like how to light a fire, how to trap animals for dinner and how to make a house out of logs. We're not really experts at any of those things, but we got the whole frontier outfit thing down. 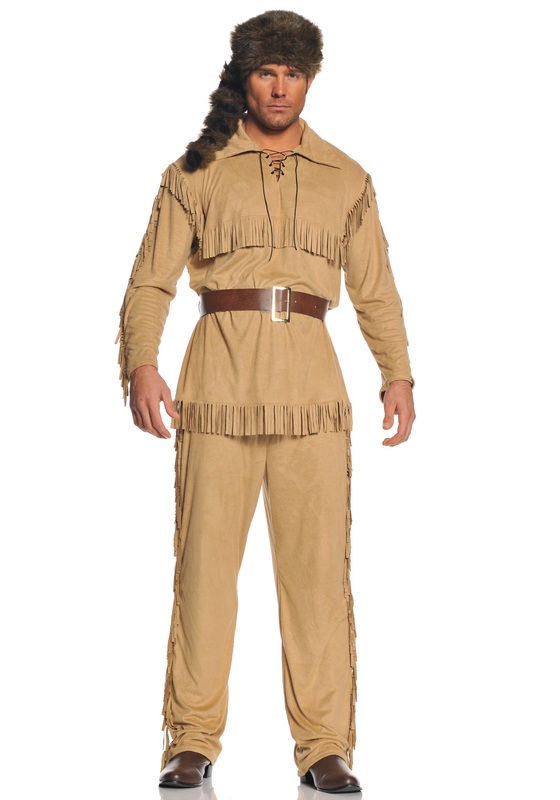 With this Frontier Man Costume. You can too if you just wear this dapper frontier style. Styled as a shirt and pants combination along with a belt and hat, it's made with faux suede and faux fur materials. The buckskin colored shirt and pants have lots of fringe accents, and a faux leather belt secures at the waist for a stoic look. Of course, you'll want to top off the style with the included coonskin cap, to really tap into that pioneering American spirit!